Welcome to the Cobblestone Inn & Suites in Ambridge, Pennsylvania. Our beautiful hotel is conveniently located near everything that Ambridge, Pennsylvania has to offer including HealthSouth Rehabilitation Hospital, The Watson Institute, and more. Our hotel provides easy access for traveling to and from Highways 65 and 51. Located between Interstate 376 and Interstate 79, our hotel is within 20 miles of Pittsburgh, Pennsylvania. In town for business? 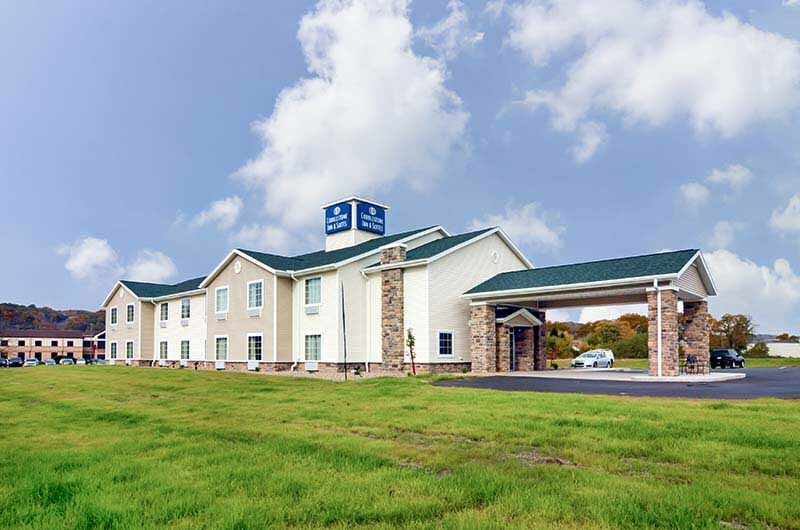 The Cobblestone Inn & Suites of Ambridge, Pennsylvania offers easy access to Port Ambridge Industrial Park, TMK IPSCO Ambridge Facility, Miller Transfer, and much more! In town for some fun? Check out Old Economy Village, Harmony Ridge Golf Club, and more.